Day upon day in me. My mother’s tears would shame me. With thread strung from the back of your dress. If I but touch your heart’s deep breadth. On your roof as a clothesline stretched in your hands. 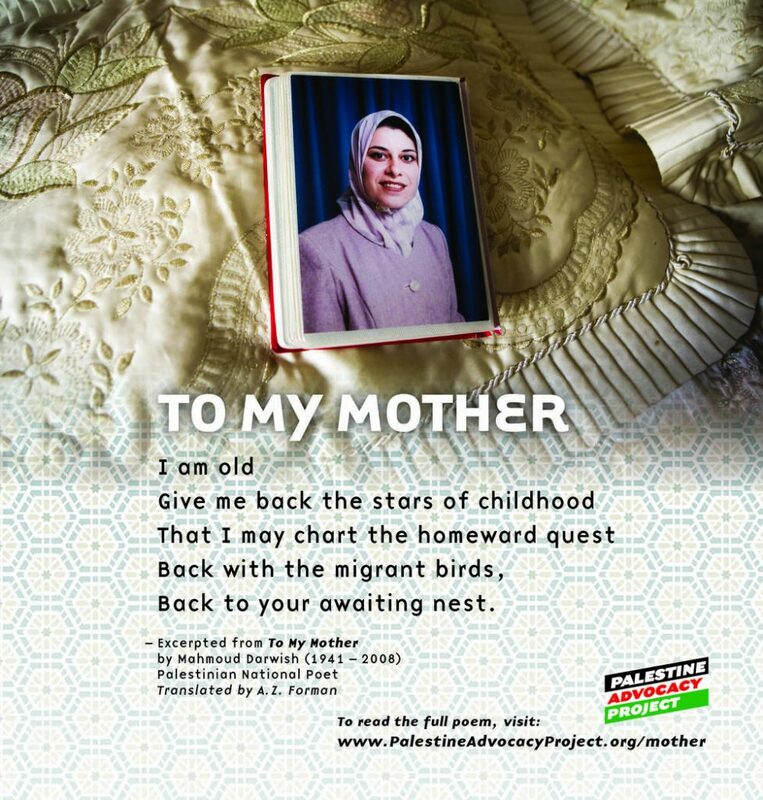 “To My Mother” is one of Darwish’s most famous poems. It was written when the young poet was in an Israeli prison as a way to reconcile with his mother and is addressed to her in the form of a letter. Pull my shackles . . .
With a tuft of hair . . . Become a God . . . If I touch the bottom of your heart! We can see, in the third and last stanza, that Darwish feels old and wishes for his mother to remind him of happier times — those of his childhood — and asks to be returned to the warmth of her nest.